This is NOVA's lightest 4-wheel walker. 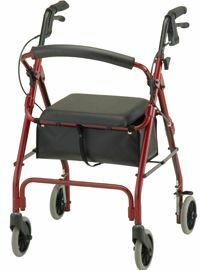 A great choice for anyone desiring more mobility. * Wt cap: 300 lbs. * Width between handles: 17.5"
* Appr. pat ht: 5'4"-6'1"